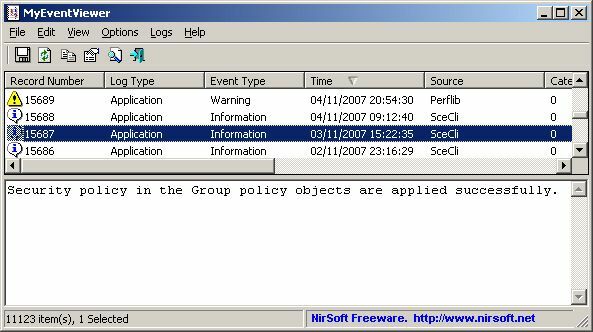 MyEventView is a freeware application from NirSoft that serves as an alternative to the Event Viewer in Microsoft Windows. MyEventViewer allows you to watch multiple event logs in one list, as well as the event description and data are displayed in the main window, instead of opening a new one. You can also select multiple events and export them to Text, XML or HTML. MyEventViewer will work on any Windows OS up to Windows 7, as long as you get the correct version. This is the 32-bit version of the tool, you can get the 64-bit version here.